Micro-blogging service Twitter is now testing out a new way for its users- in the US, to start with- to buy products from merchants without leaving the Twitter interface. 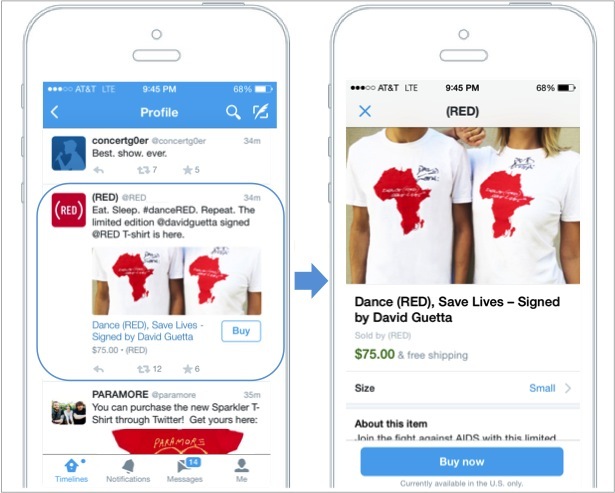 According to a blog post by Tarun Jain, Group Product Manager at Twitter, some tweets from the merchant partners participating in the test program will feature a “Buy” button that will allow users to directly buy from the tweet. “This is an early step in our building functionality into Twitter to make shopping from mobile devices convenient and easy, hopefully even fun. 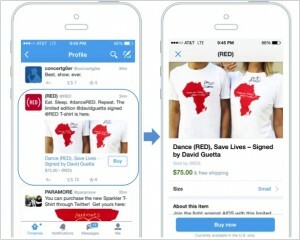 Users will get access to offers and merchandise they can’t get anywhere else and can act on them right in the Twitter apps for Android and iOS; sellers will gain a new way to turn the direct relationship they build with their followers into sales,” writes Jain in the aforementioned blog post. Users who ‘tap’ the buy button will then be shown additional details of the product and expected to enter the payment and shipping information to complete the purchase. Twitter has also updated its privacy and security policies to accommodate the requirements of offering such functionality. Offering transactional services such as online buying within the platform is a logical extension to Twitter’s business, from its predominantly-advertising based revenue model that it currently has. If this test turns out to be successful enough for Twitter to roll out the feature more widely, both in terms of geography as well as additional merchant partners, we could see online retailers worldwide taking a lot more to Twitter not only for online marketing but also driving sales.